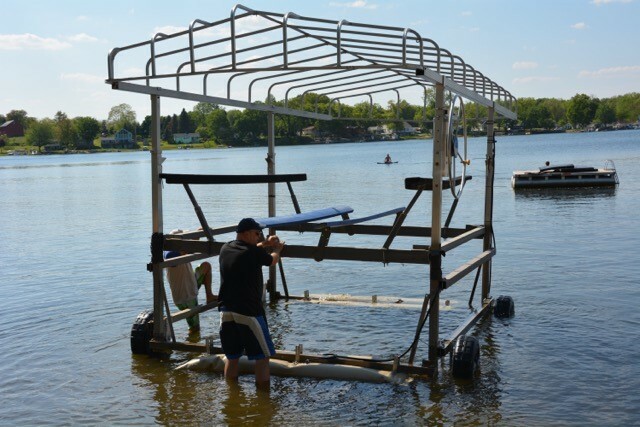 Demonstration and user submitted photos and videos of moving and installating a boat lift with the Boat Lift Helper air-bag systems. 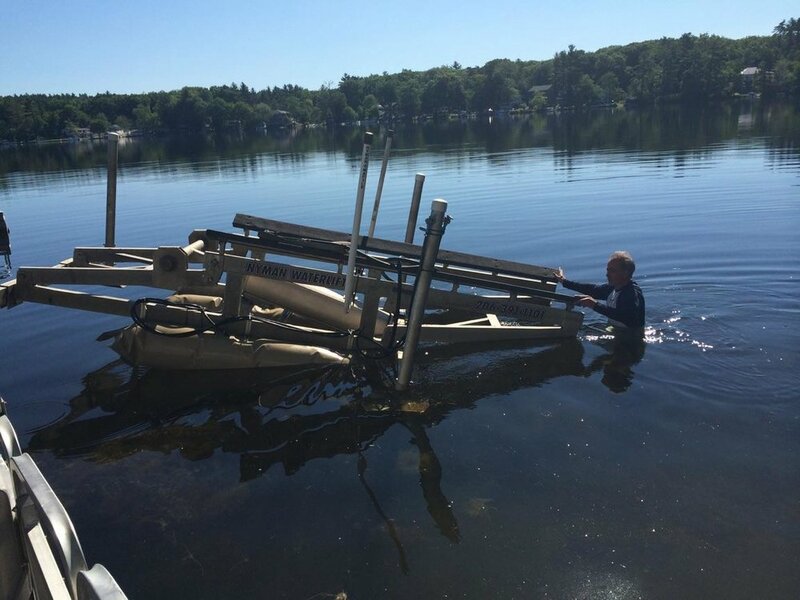 Removing a boat lift with the Boat Lift Helper air bag system. No getting wet, no hurting your back. 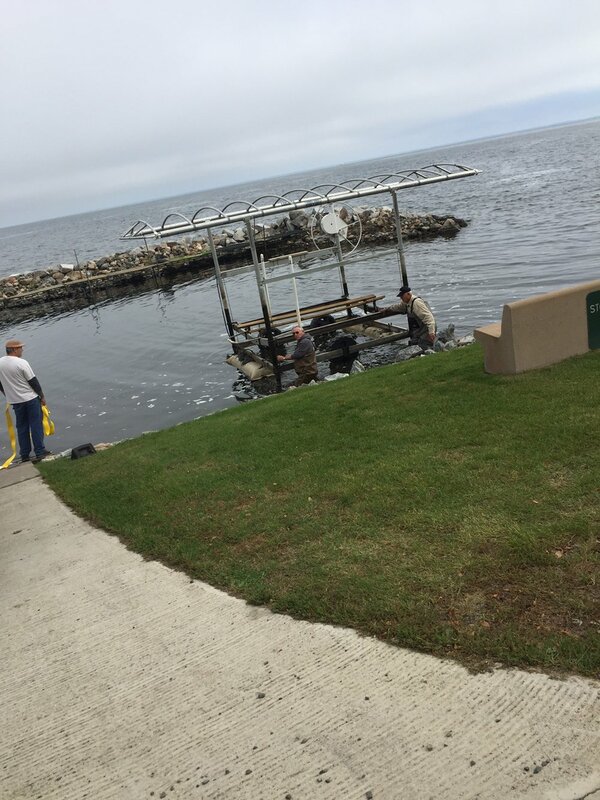 From start to finish in 27 minutes to remove the lift and the dock. *Customer submitted video. We always recommend using 2-3 people while floating a lift. 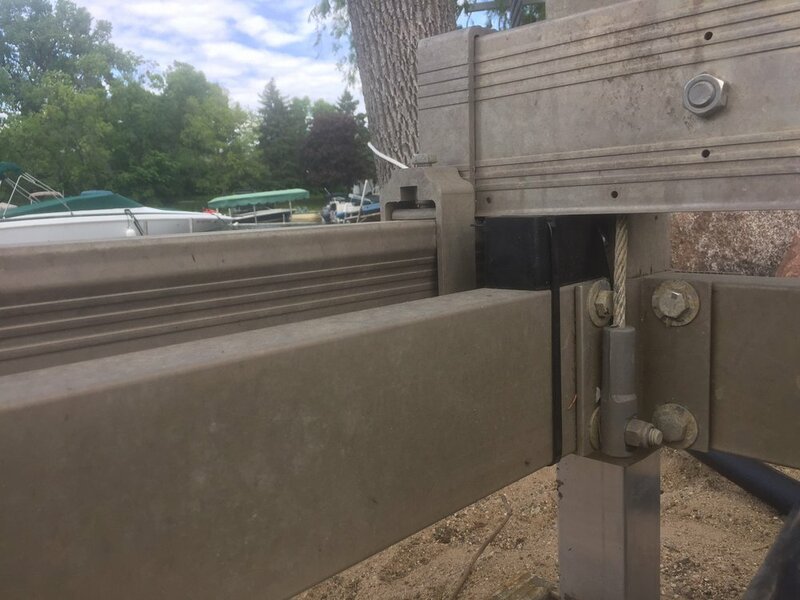 Time lapse of installing the Boat Lift Helper air-lift-bags on a boat lift for easy installation and removal. 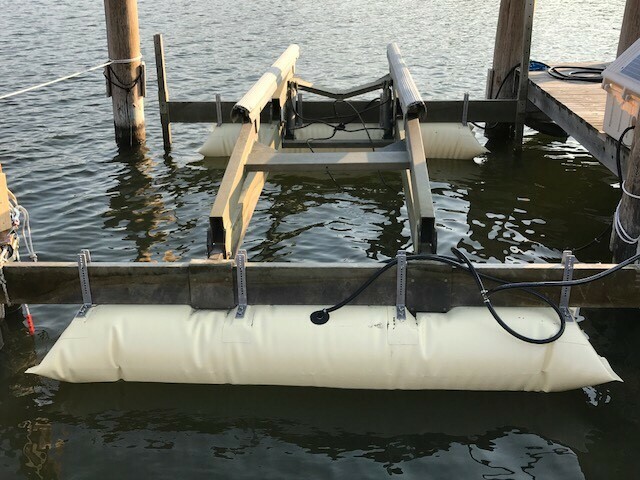 Porta Dock 4500 120" with our 8ft system. 35 minutes to completely install the system on the lift. 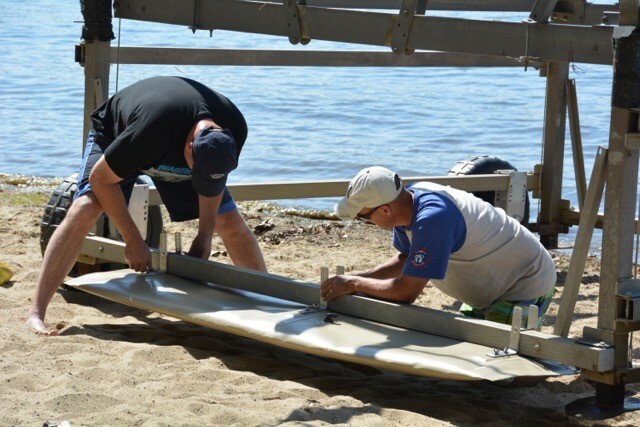 Rolling the boat lift in the water, then inflating the bags to float the lift to the end of the dock. Once in position, deflate the bags and walk away. Remove the bags in under 5 minutes for winter storage. *Customer submitted video. 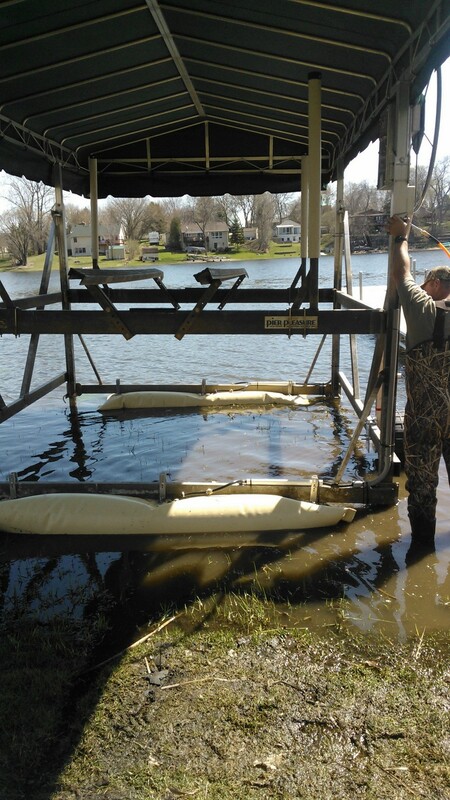 Deer River, MN floating their boat lift down their 300ft dock the easy way with the Boat Lift Helper. Lift: Floe V-4600 w/ 26ft canopy. 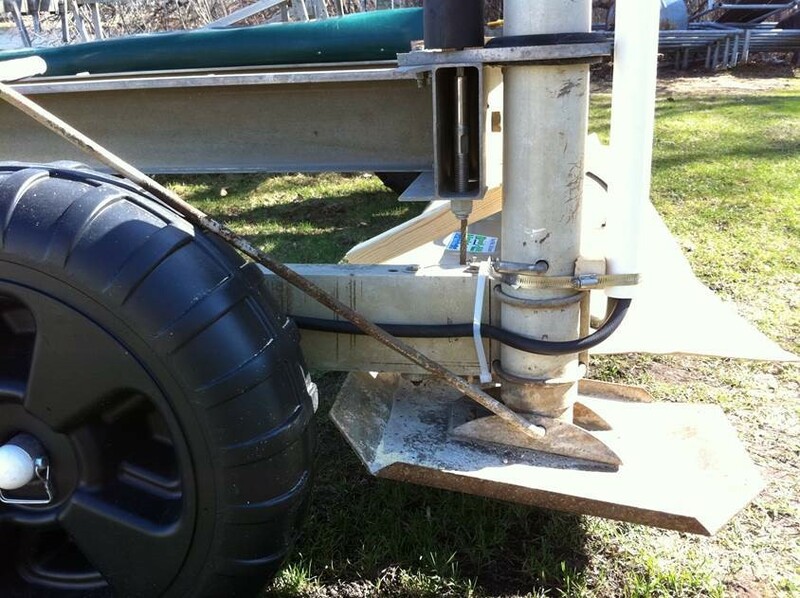 8ft Boat Lift Helper system.